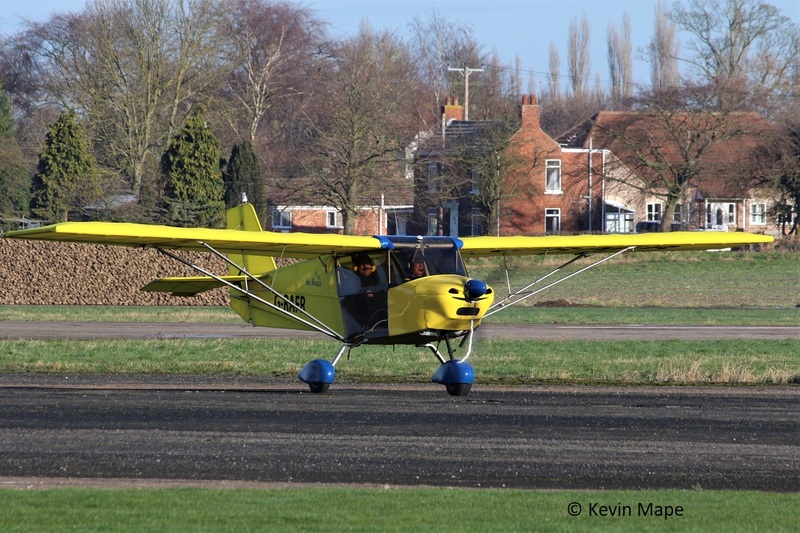 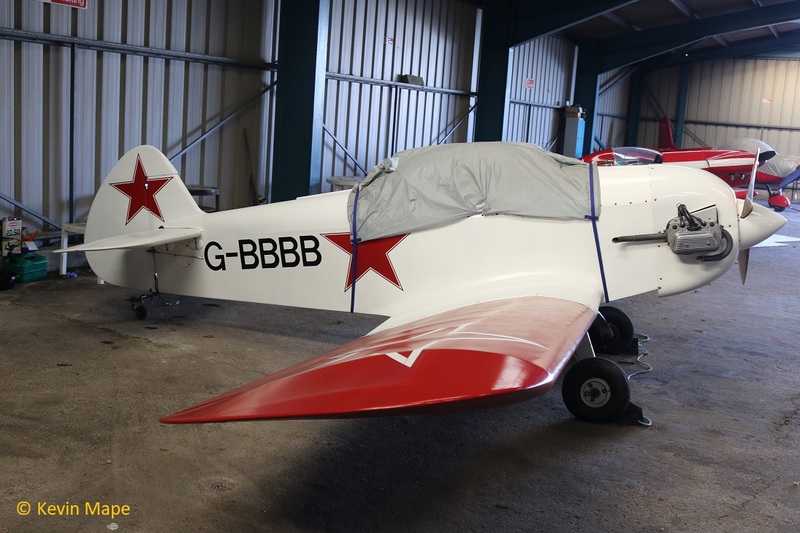 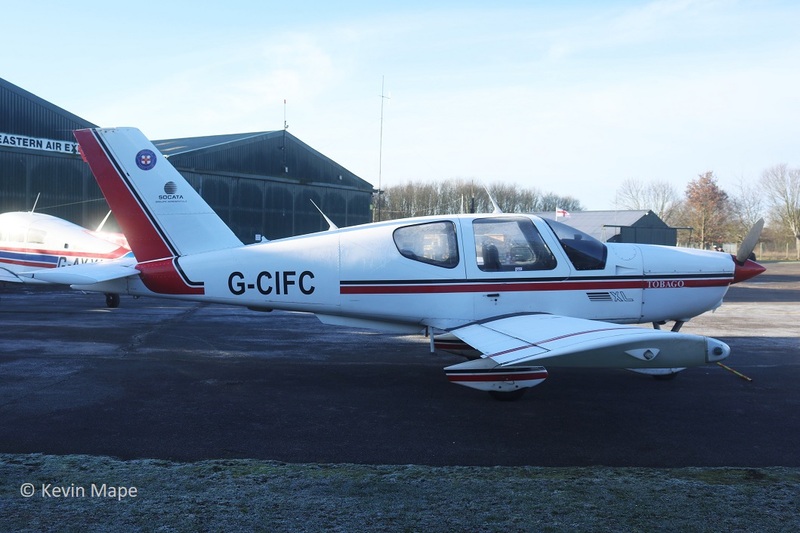 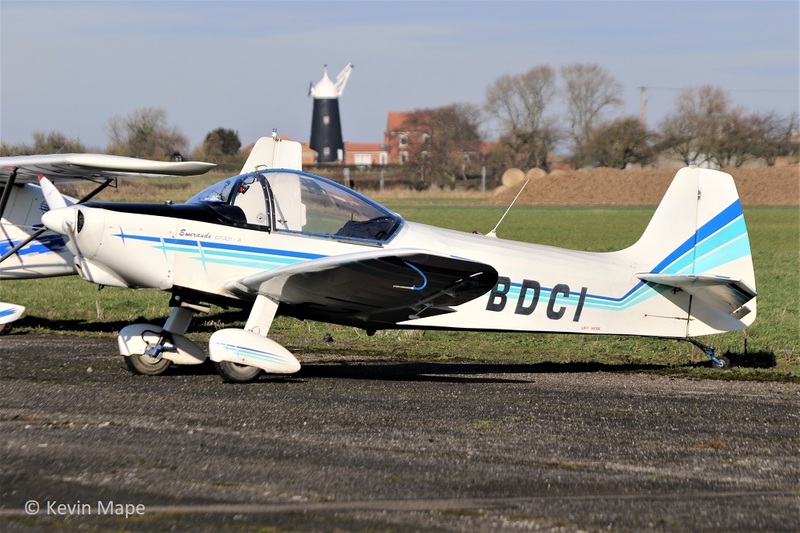 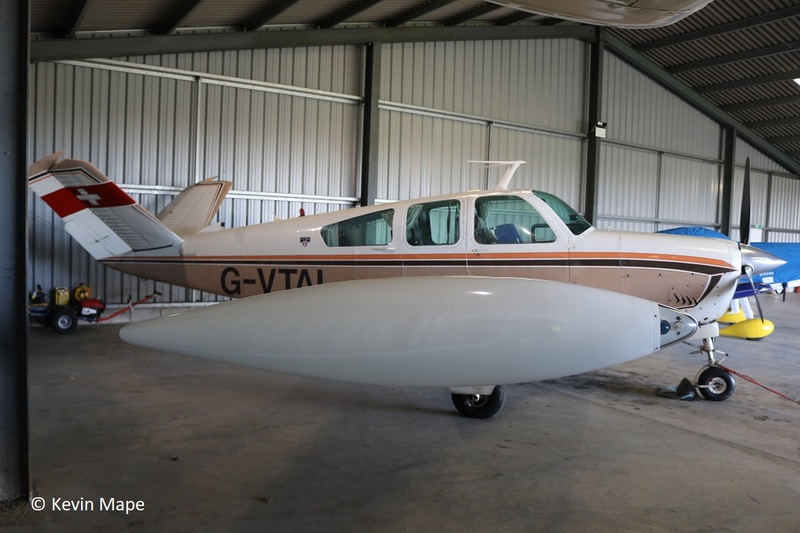 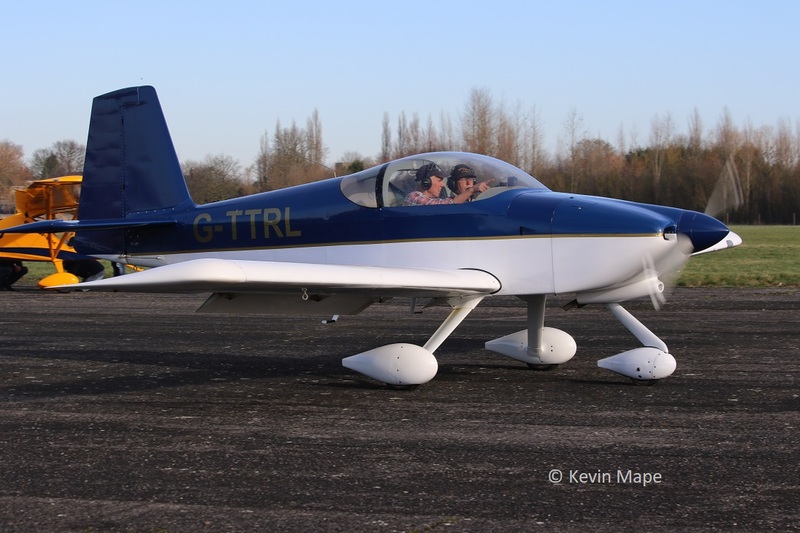 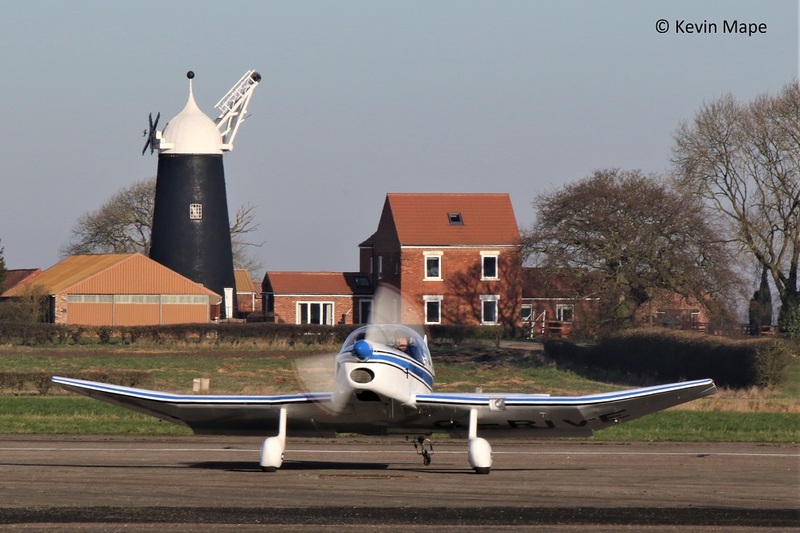 Sturgate – Lincs Aero Club – Breakfast Patrol & Fly-in 3rd Feb 2019. 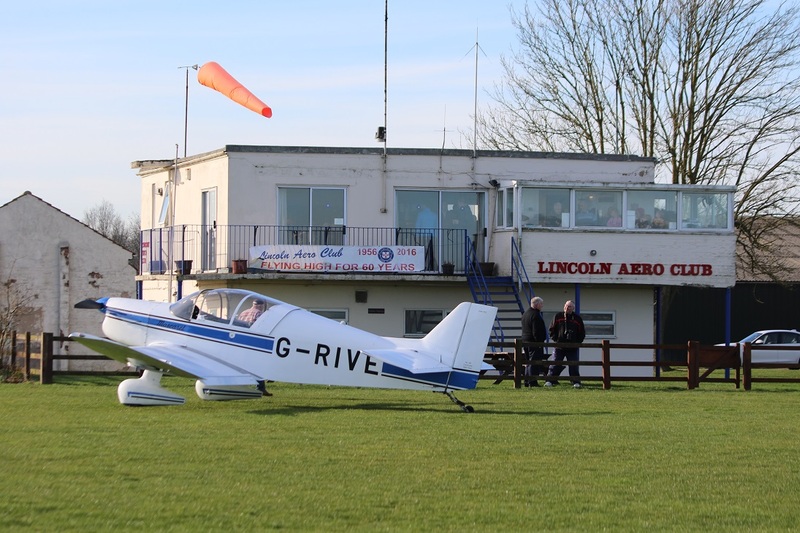 After all the rain, snow and high winds of last week it was nice to have a clear but cold day for the Annual Breakfast Patrol & Fly -in at the Lincoln Aero Club Sturgate . 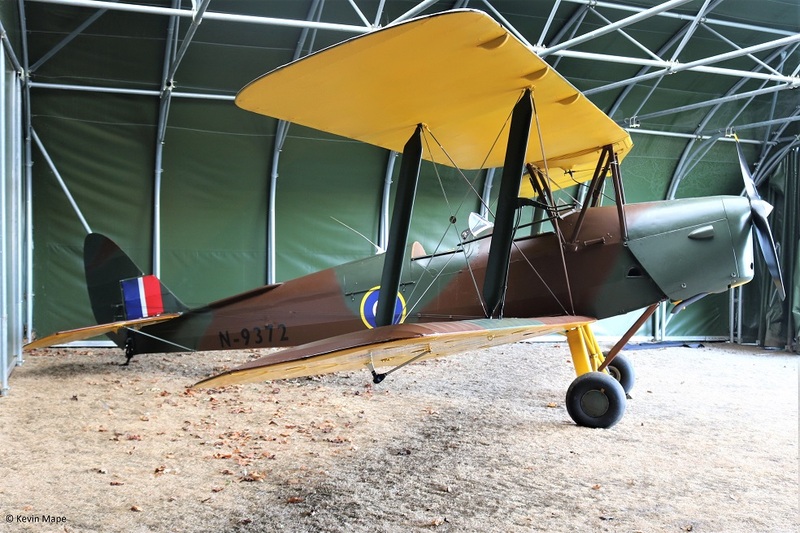 A warm welcome was given to everybody that attended the event with hot food and drinks served in the Club house, access to all areas for pictures was given. 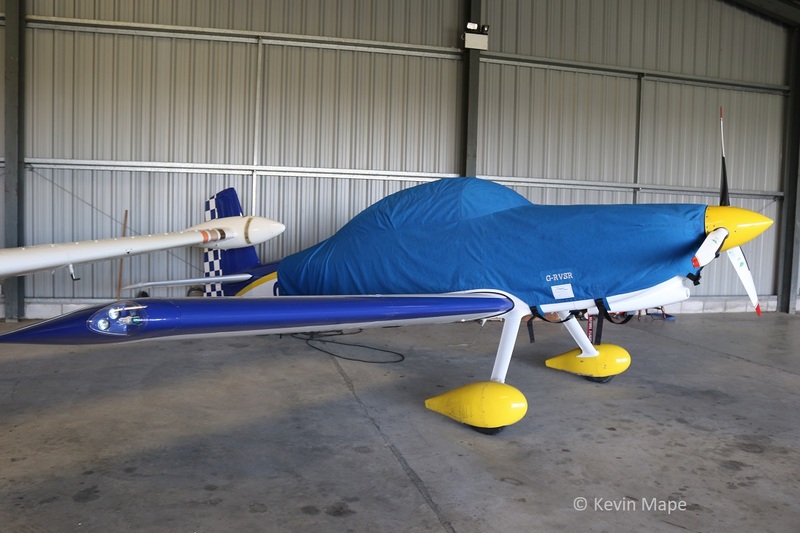 As usual I have posted a pictorial log for the event. 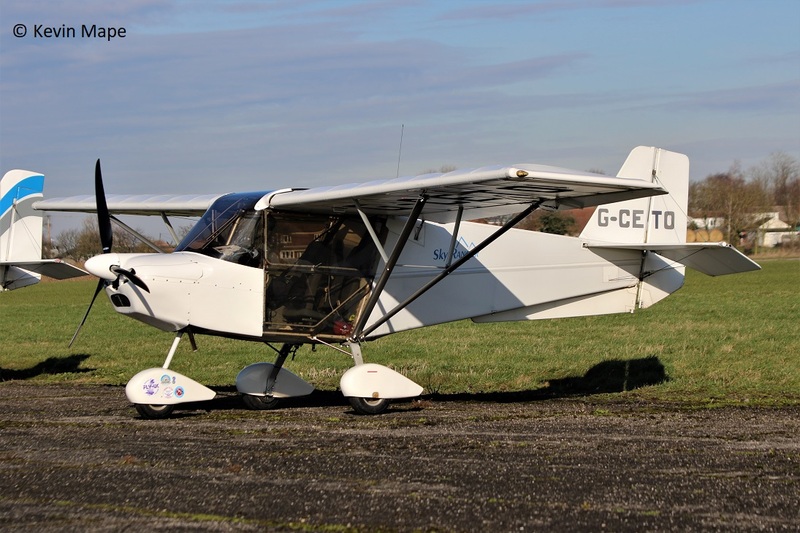 G-CCZA : MS.894A Rallye Minerva : Built 1973. 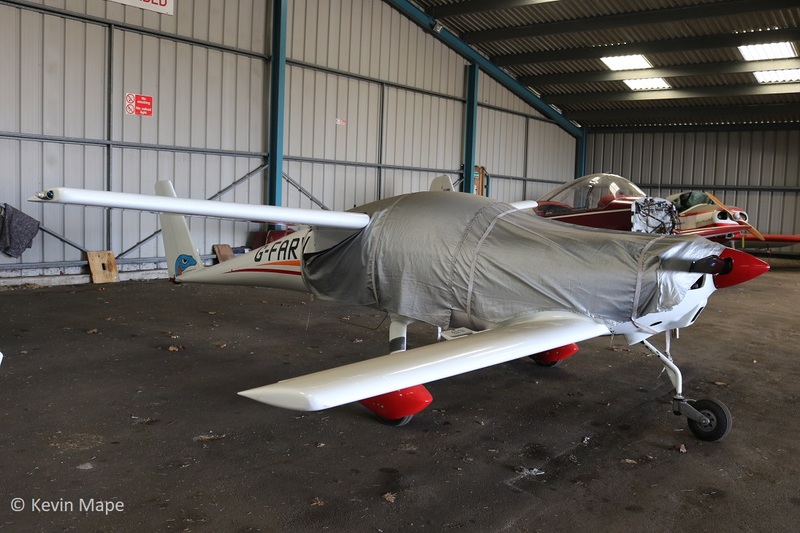 G-OPAZ : Pazmany PL-2 : Built 2001. 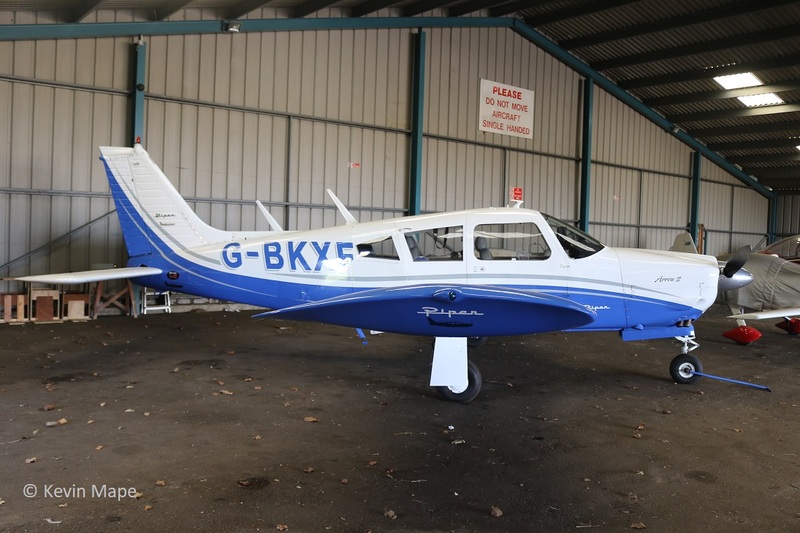 G-CIFC : Socata TB200 Tobago XL : Built 1994. 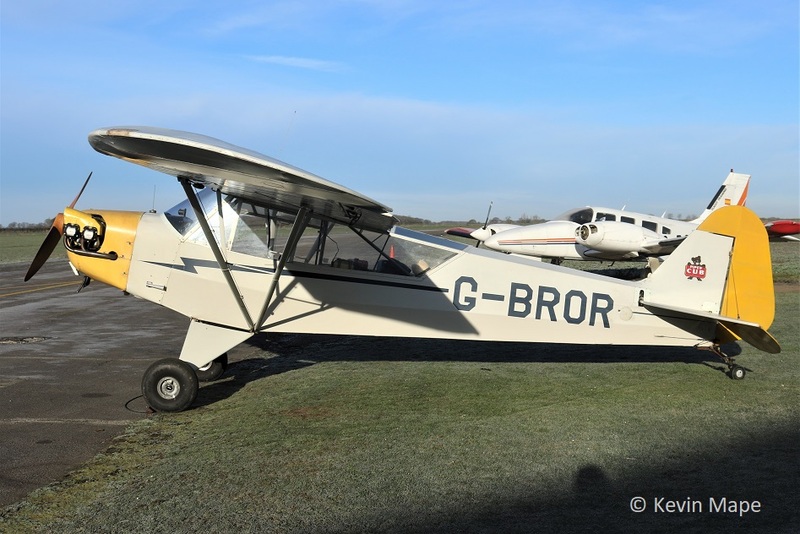 G-BROR : Piper J3C-65 : Built 1943. 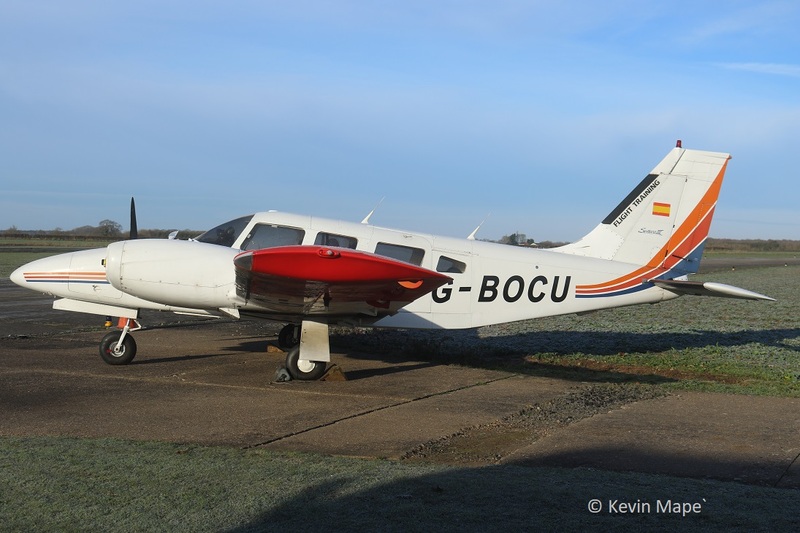 G-BOCU : Piper Pa-34 – 220T Seneca III : Built 1988. 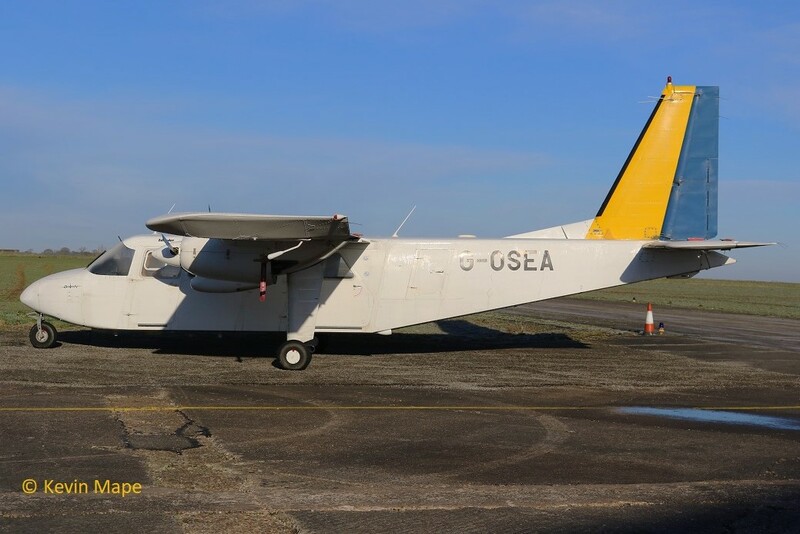 G-OSEA : BN-2B-26 Islander : Built 1984. 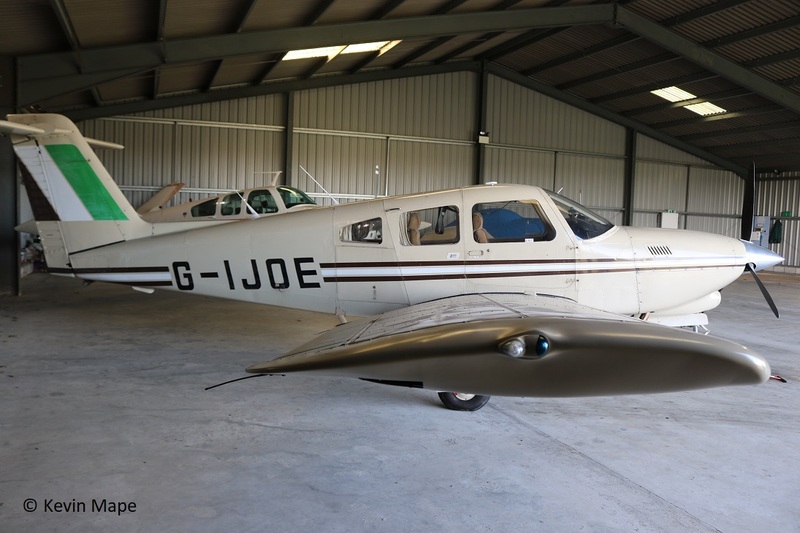 G-AYYU : Beech C23 Sundowner 180: Built 1971. 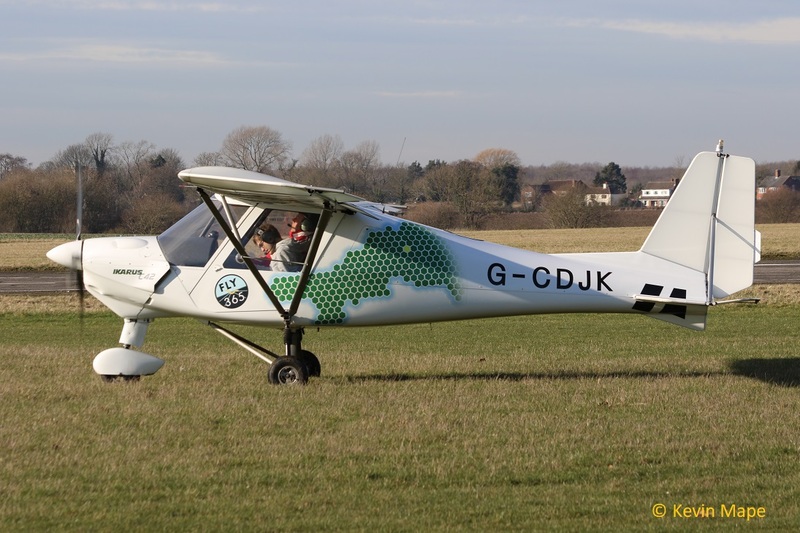 G-RIVE : Jodel D153 : Built 2007. 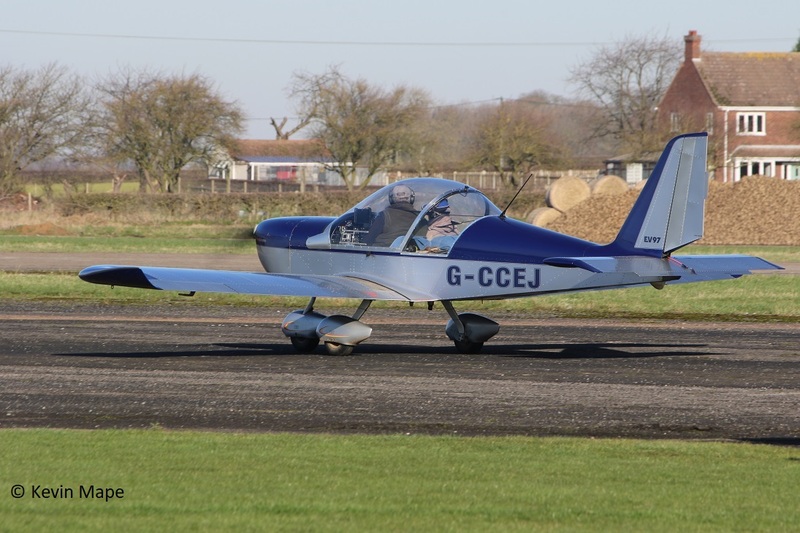 G-CCXX : American General AG-5B Tiger : Built 1993. 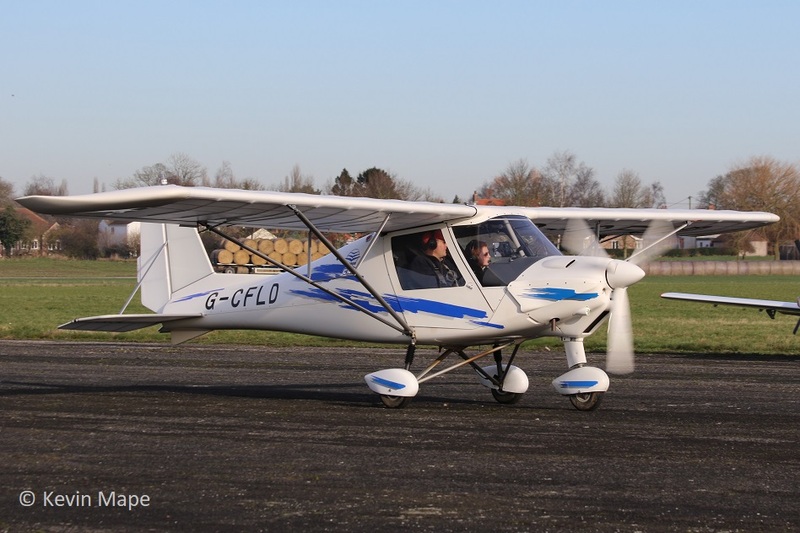 G-CJTE : Eurofox 3K : Built 2017. 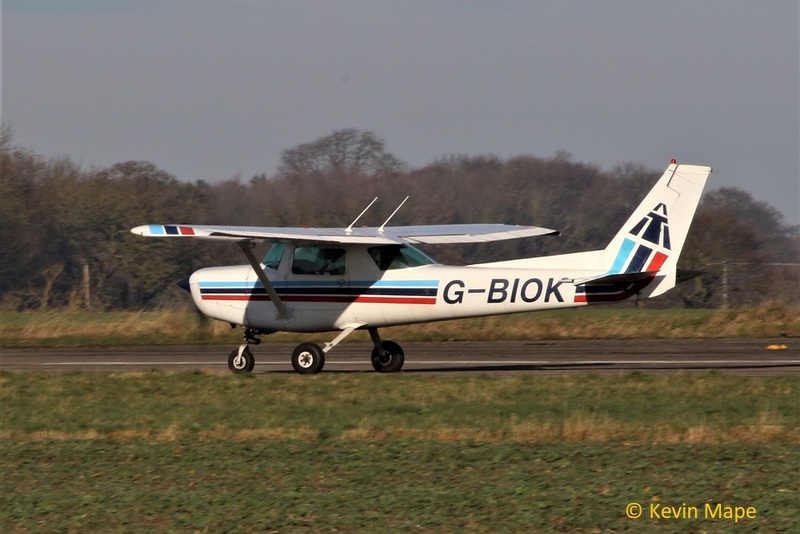 G-BIOK : Cessna F152 : Built 1981. 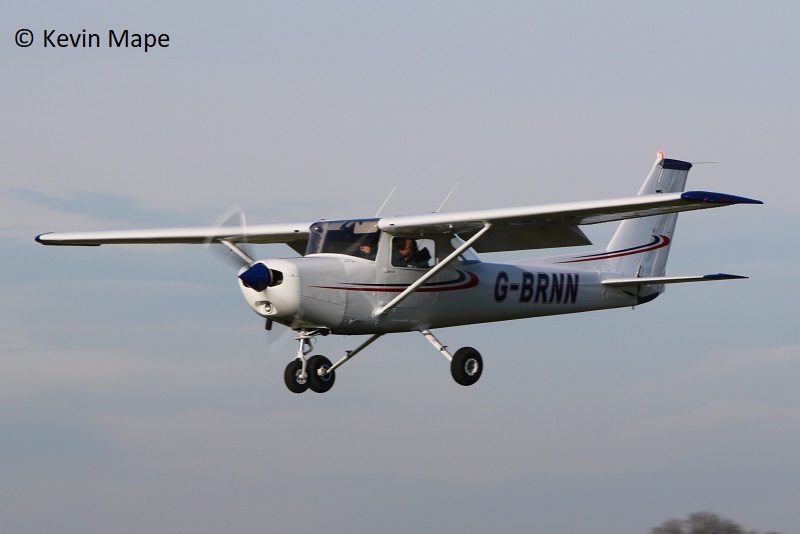 G-RAFR : Skyranger 912S(1) : Built 2004. 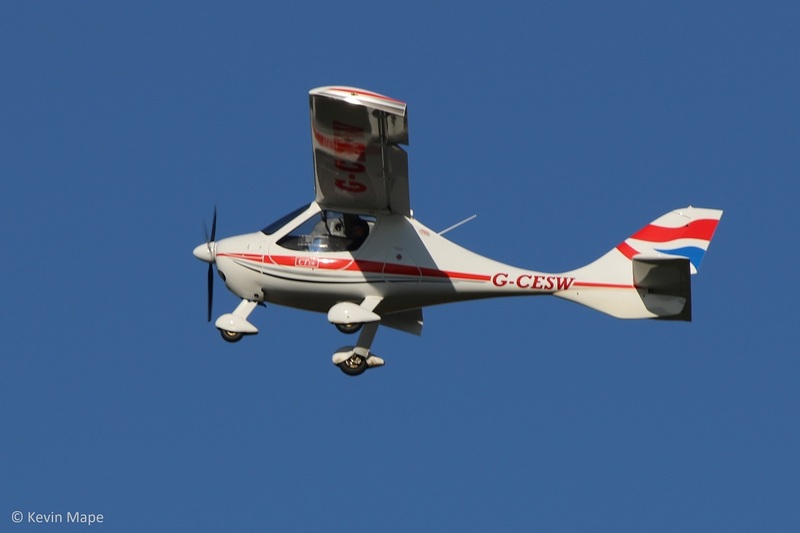 G-MZBH : Rans S6 – ESD Coyote II : Built 1996. 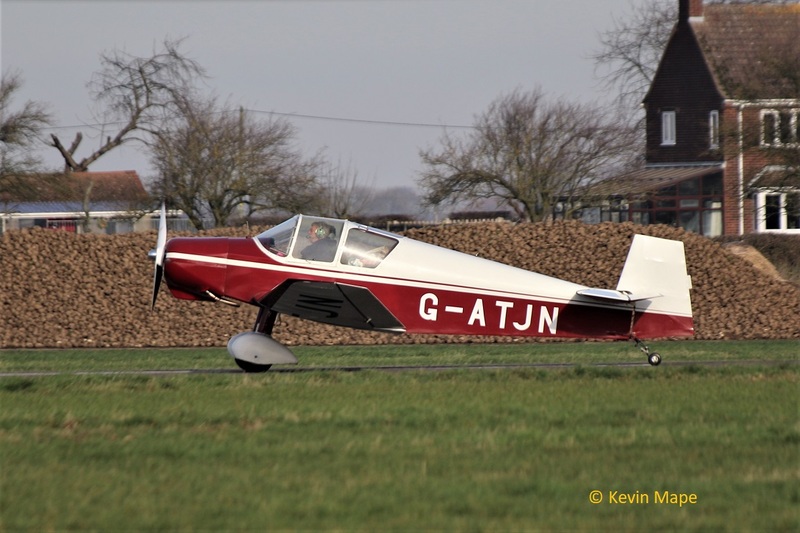 G-BZUL : Jaribu UL-450 : Built 2002. 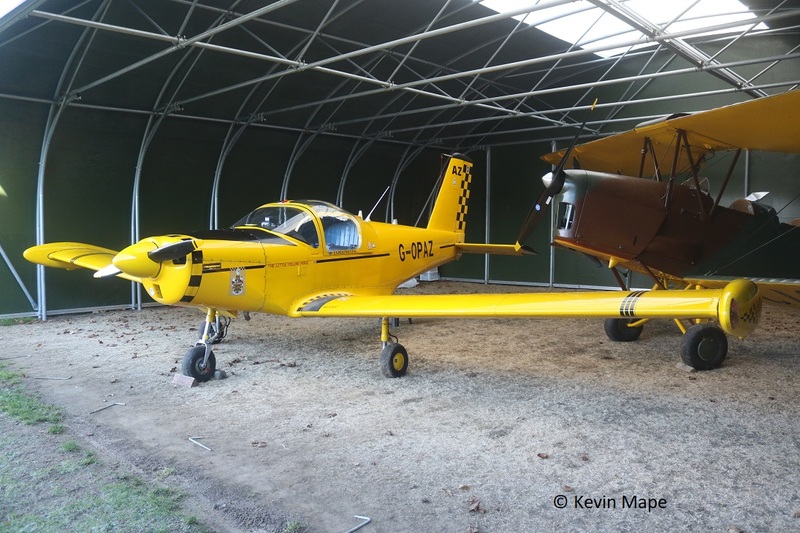 G-CJAK : Skyranger Nynja 912S(1) : Built 2016. 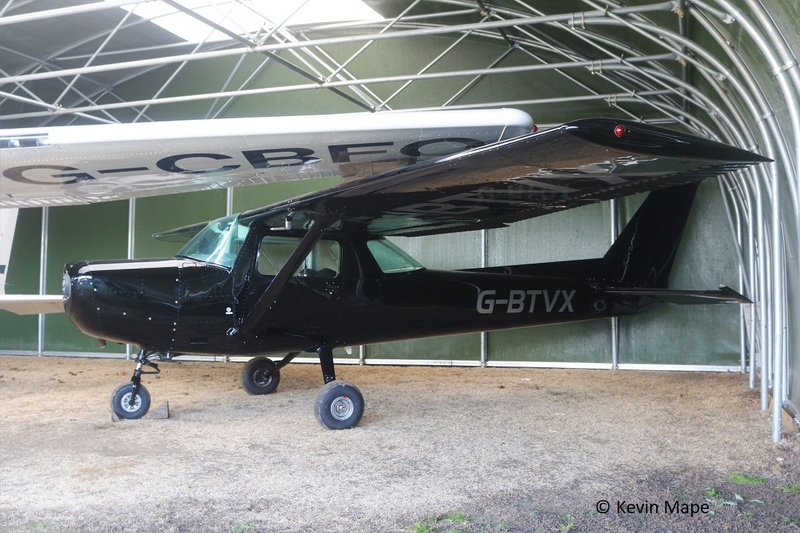 G-SVNH : Savasnnah VG Jabiru(1) : Built 2008. 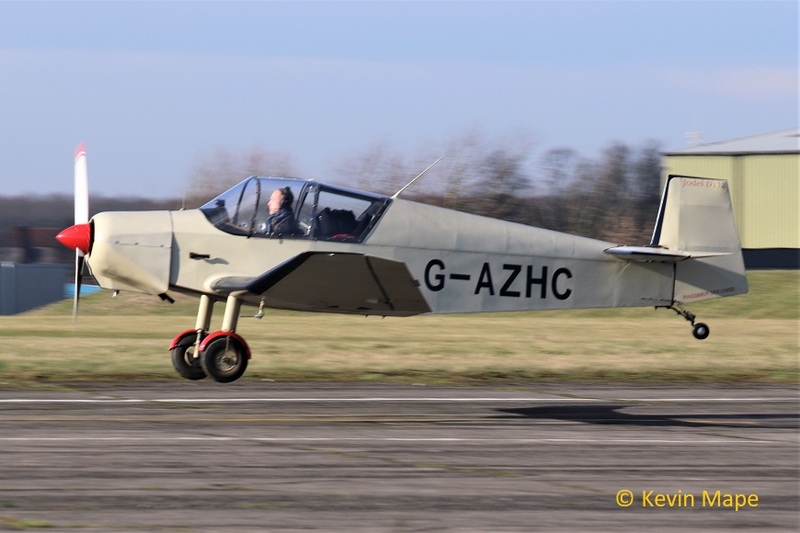 G-JBVP : Eurofox 3K : Built 2017. 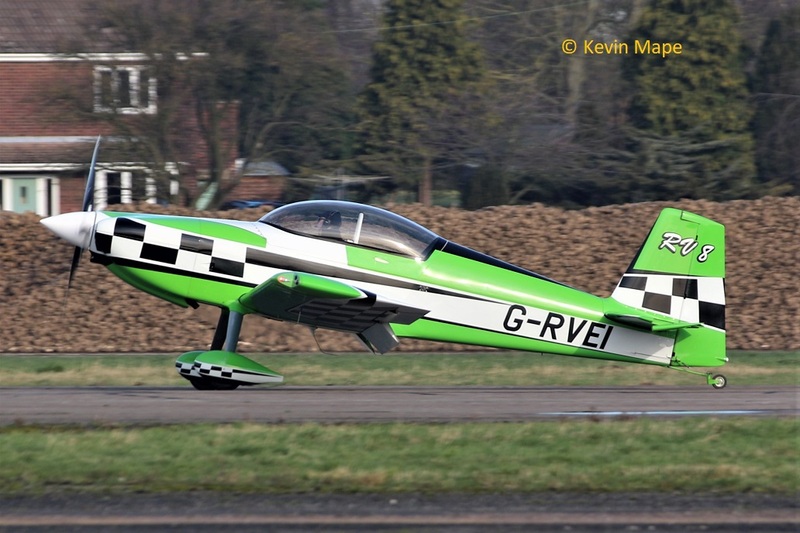 G-RVEI : Vans RV-8 : Built 2011. 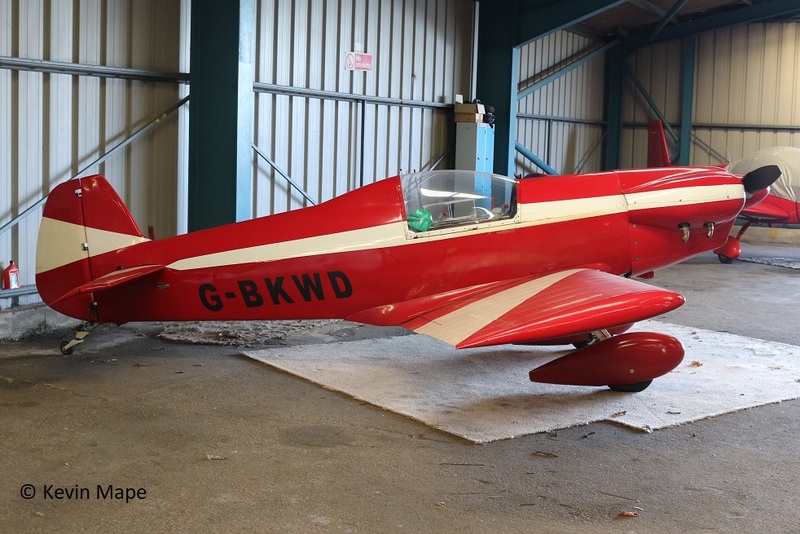 G-CESW : CTSW : Built 2007. 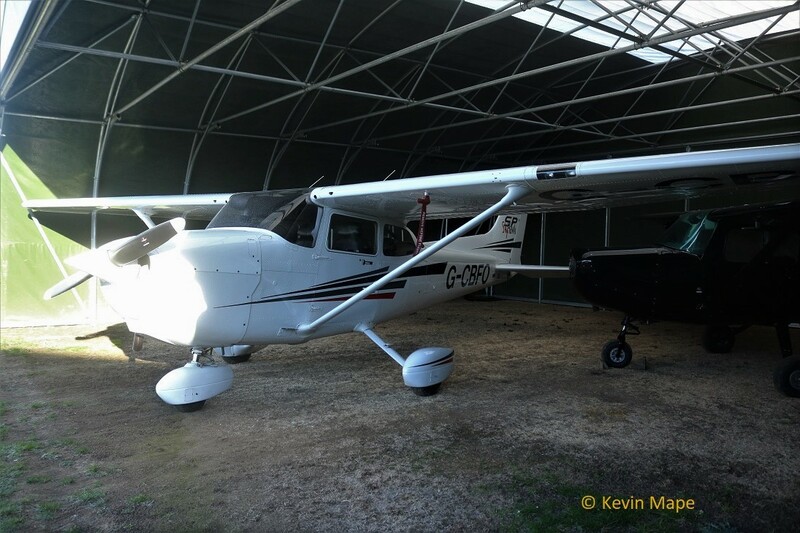 G-AJJS : Cessna 120 : Built 1947. 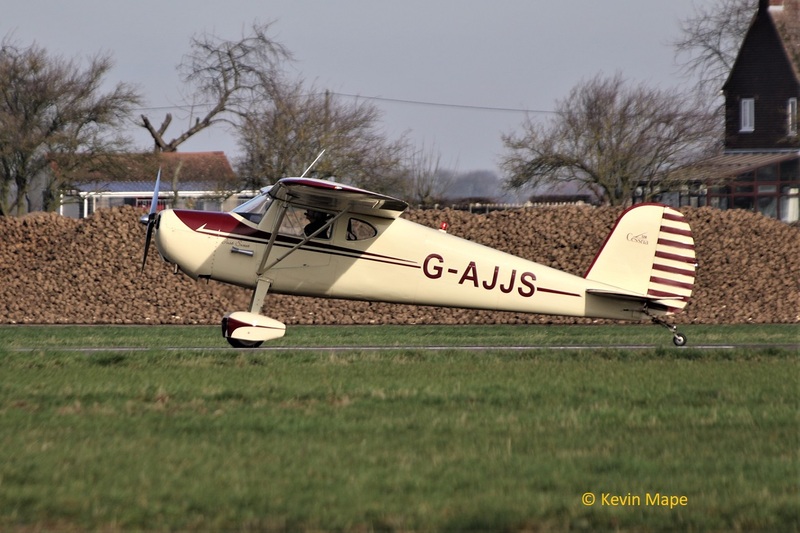 G-ATJN : Jodel D119 : Built 1958. 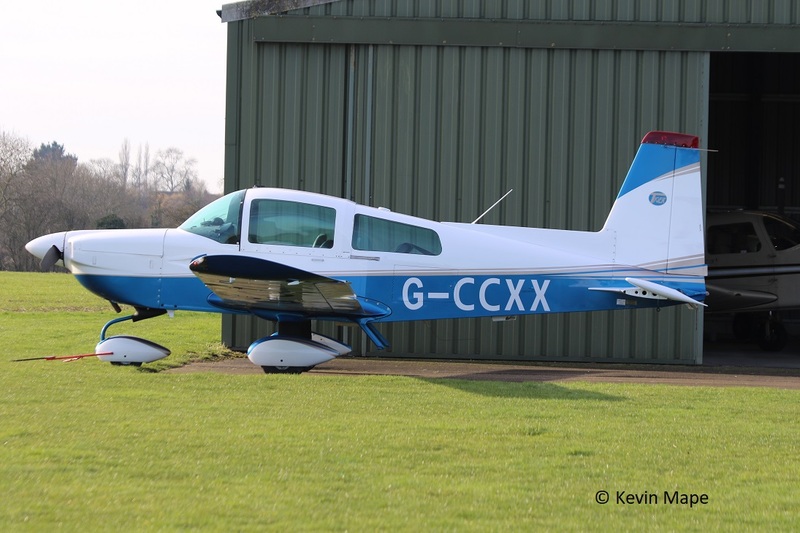 G-CGDH : Europa XS : Built 2004. 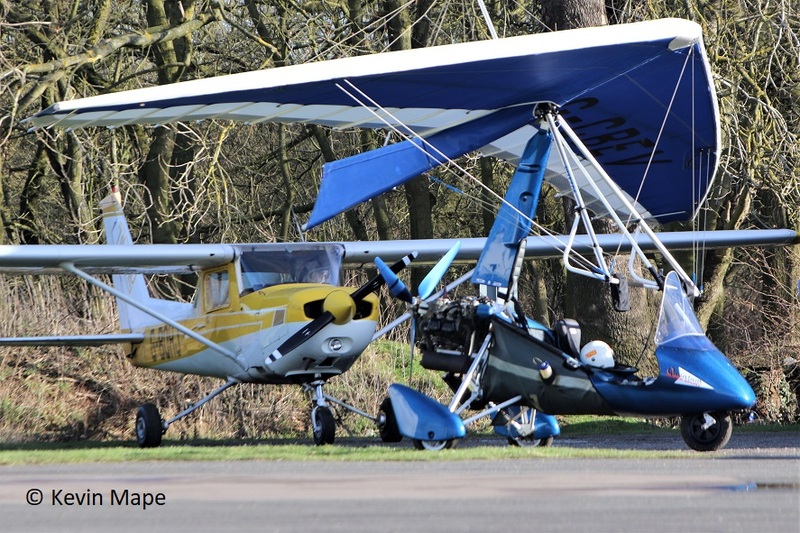 G-SNUG : Skyranger Nynja 912S(1) : Built 2015. 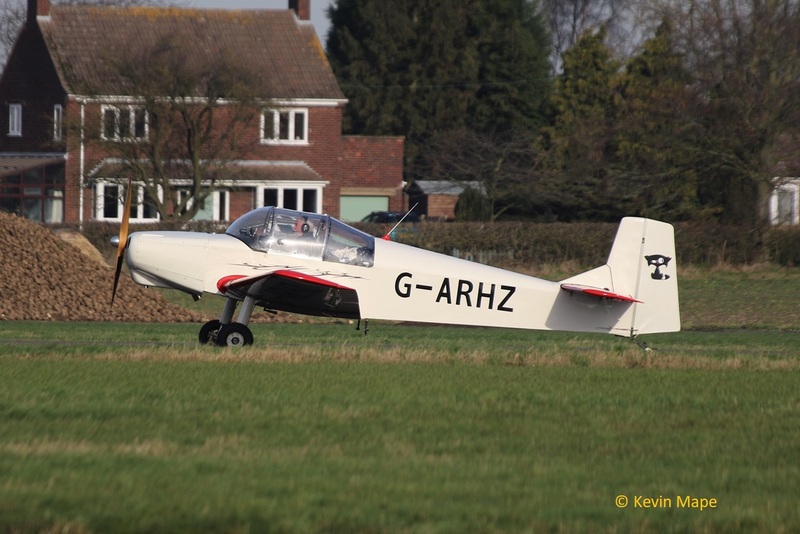 G-ARHZ : Druine D.62 Condor : Built 1961. 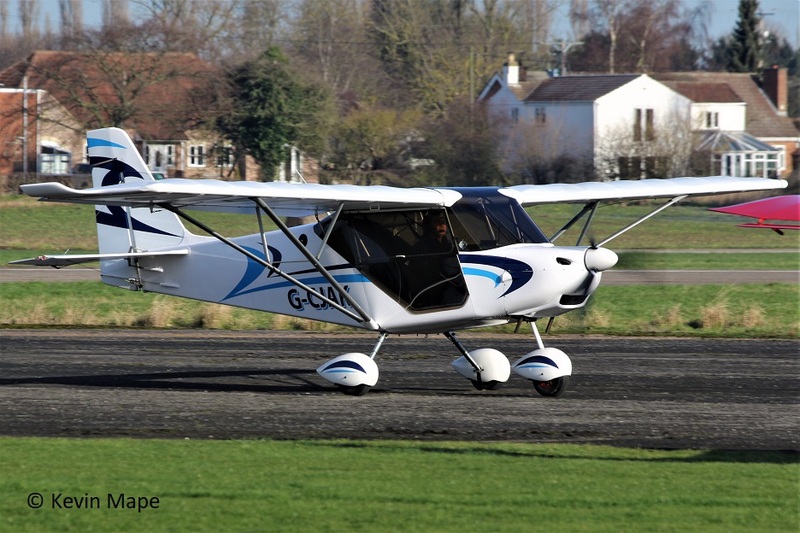 G-CCEJ : EV-97 Eurostar : Built 2003. 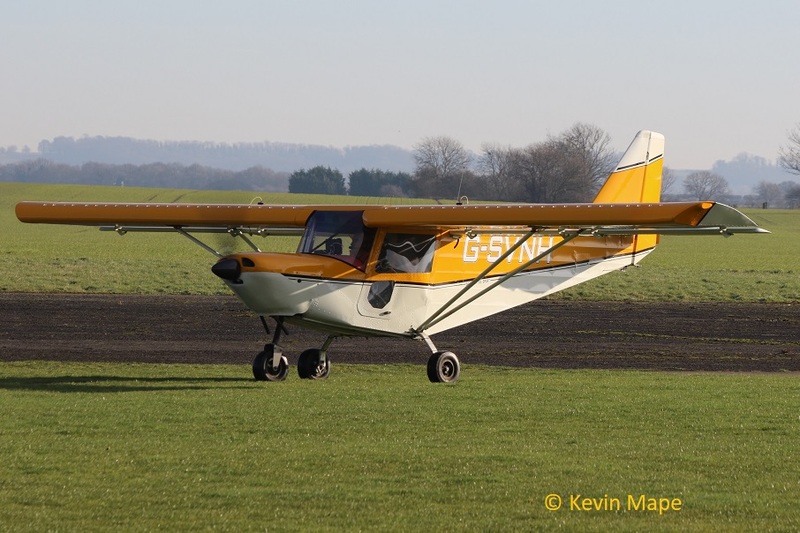 G-CFLD : Ikarus C42 FB80 : Built 2008. 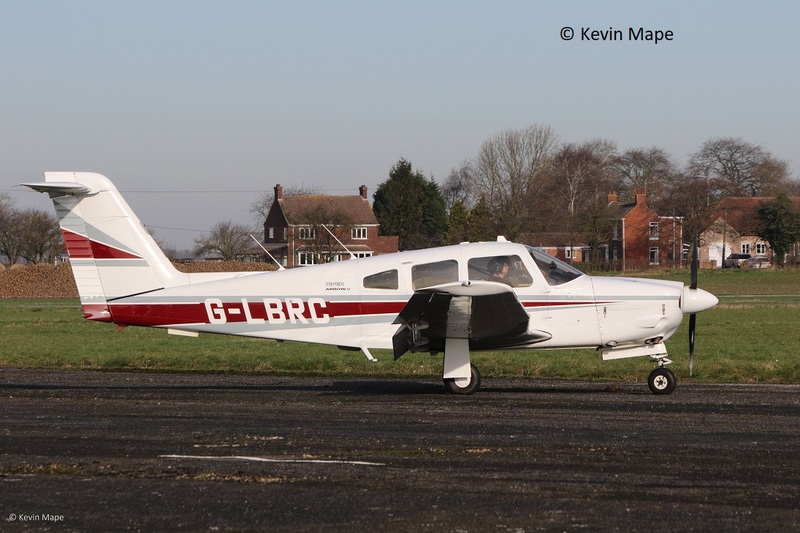 G-LBRC : Piper Pa-28RT-201 Cherokee Arrow IV : Built 1979. 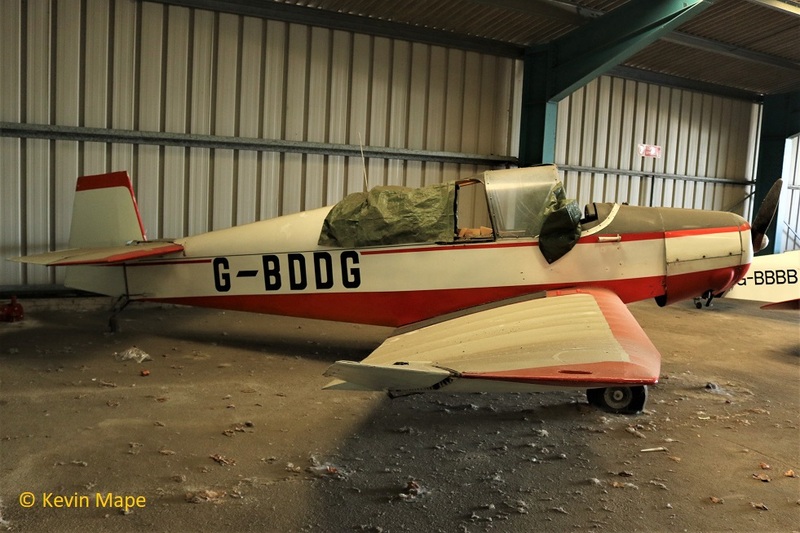 G-BDCI : Piel CP301A Emeraude : Built 1958. 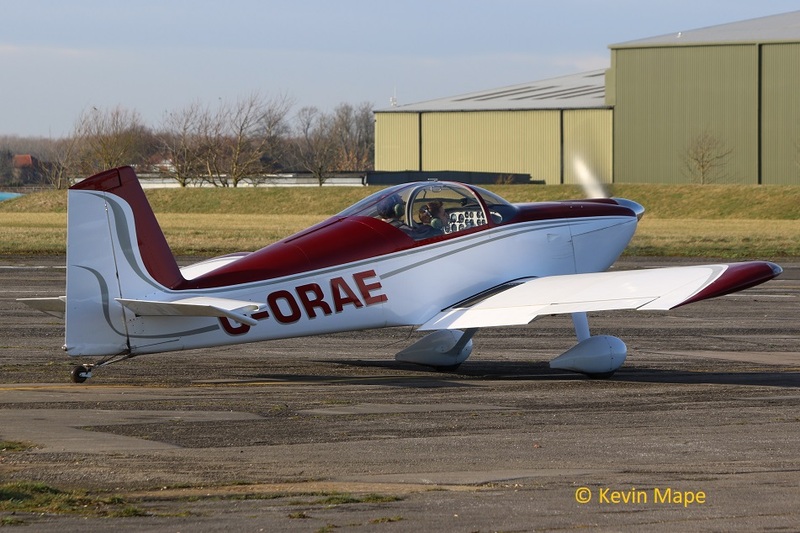 G-ASRC : Druine D.62C Condor : Built 1964. 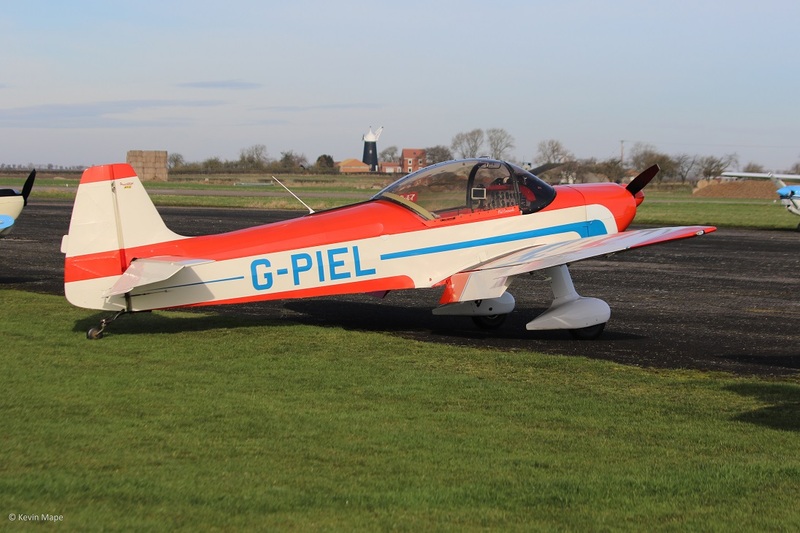 G-PIEL : Piel CP301A Emeraude : Built 1957. 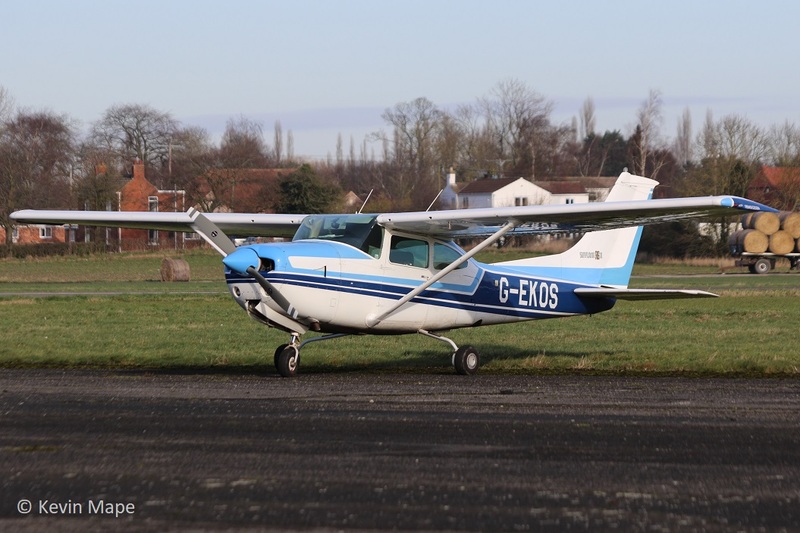 G-EKOS : Cessna FR182 : Built 1978. 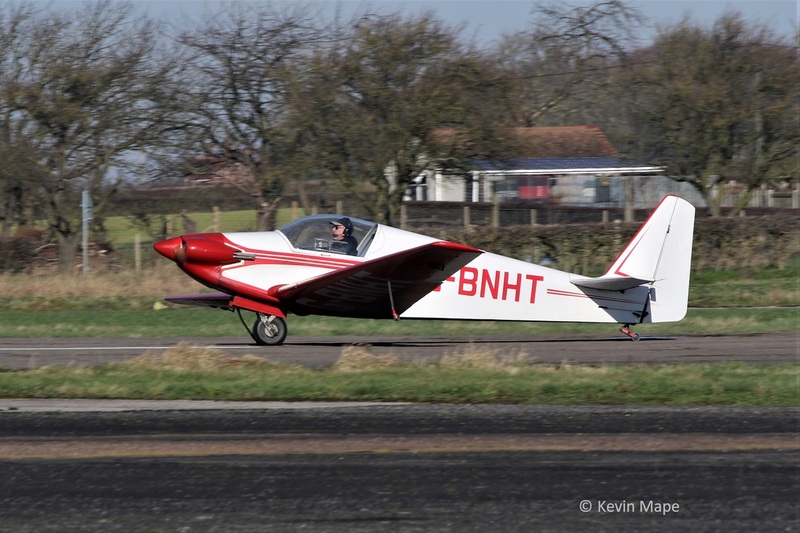 G-TTRL : Vans RV-9A : Built 2008. 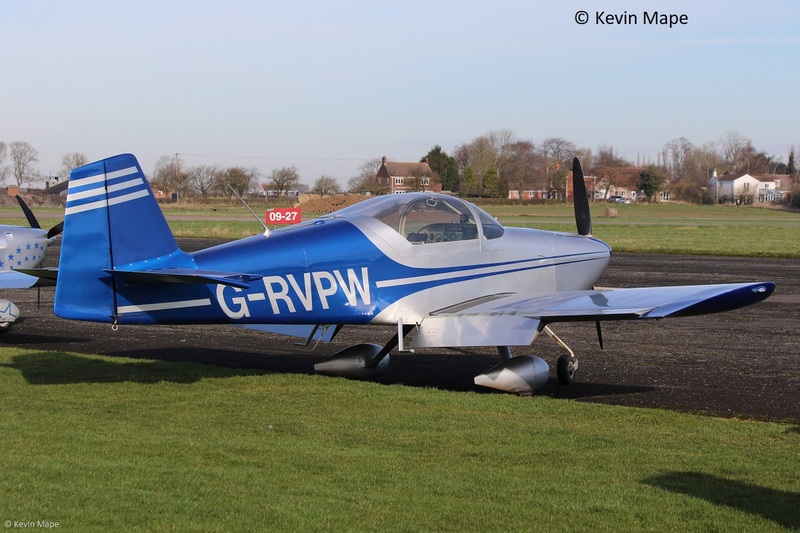 G-RVPW : Vans RV-6A : Built 2004. 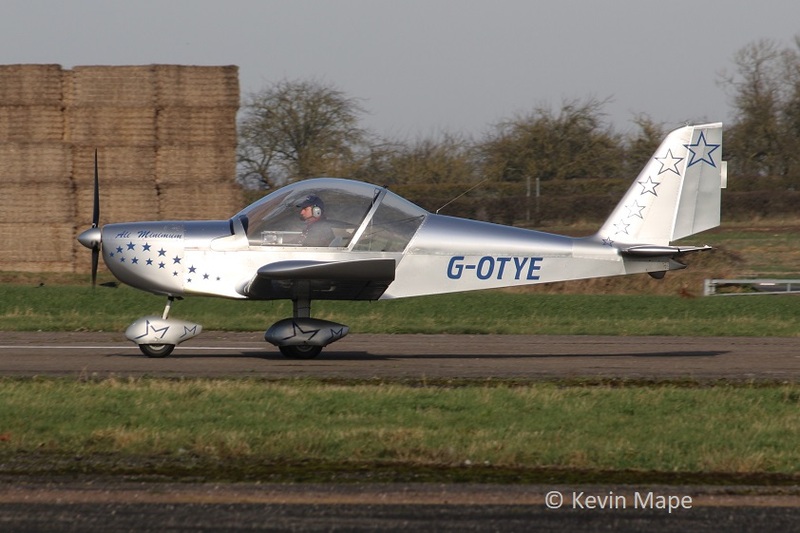 G-OTYE : EV-97 Eurostar : Built 2002. 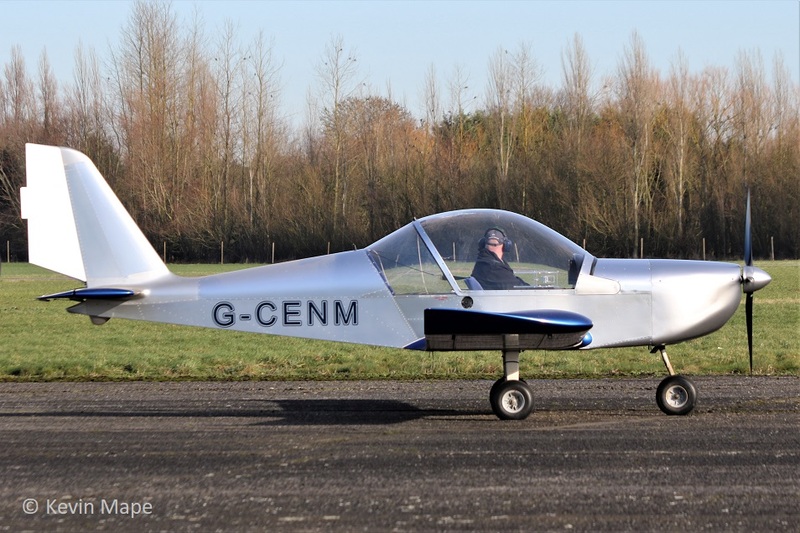 G-CENM : EV-97 Eurostar : Built 2007. 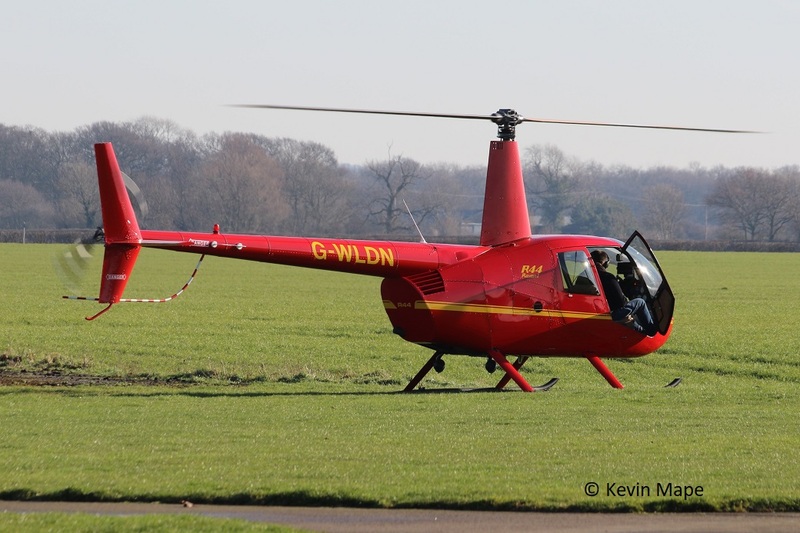 G-WLDN : Robinson R44 Raven : Built 2005. 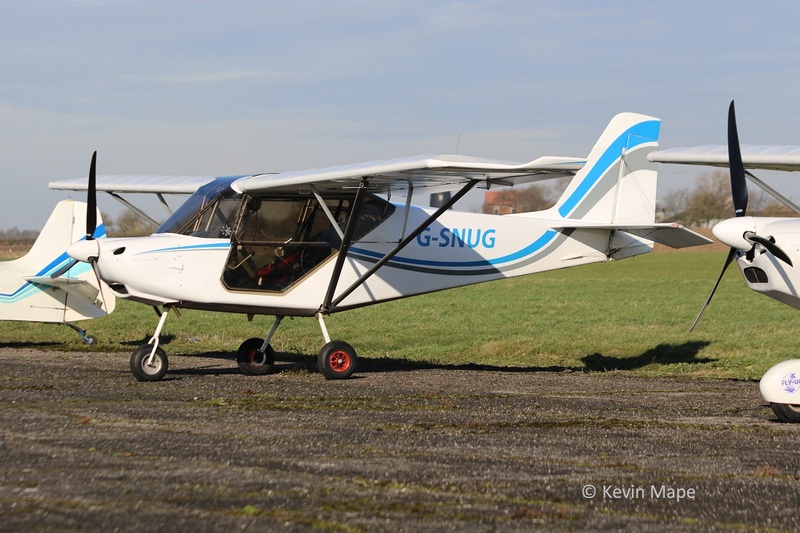 G-CETO : Skyranger Swift 912S(1) : Built 2007. 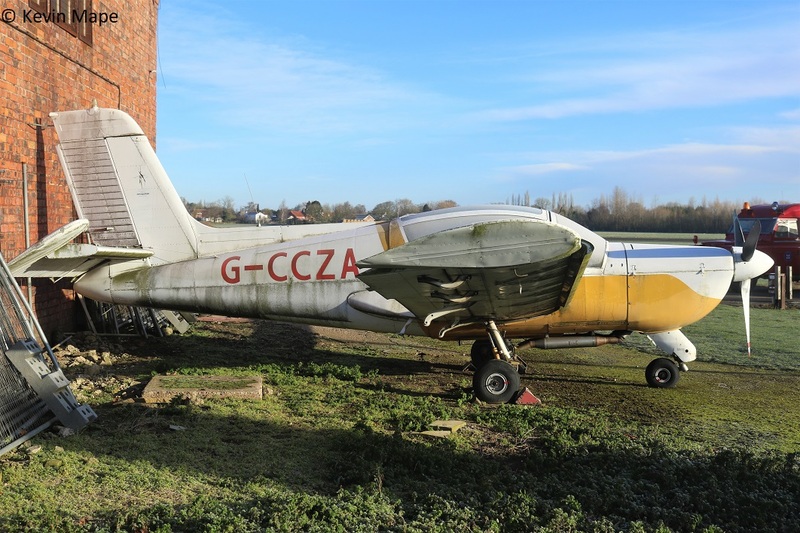 G-BNHT : Fournier RF3 : Built 1965. 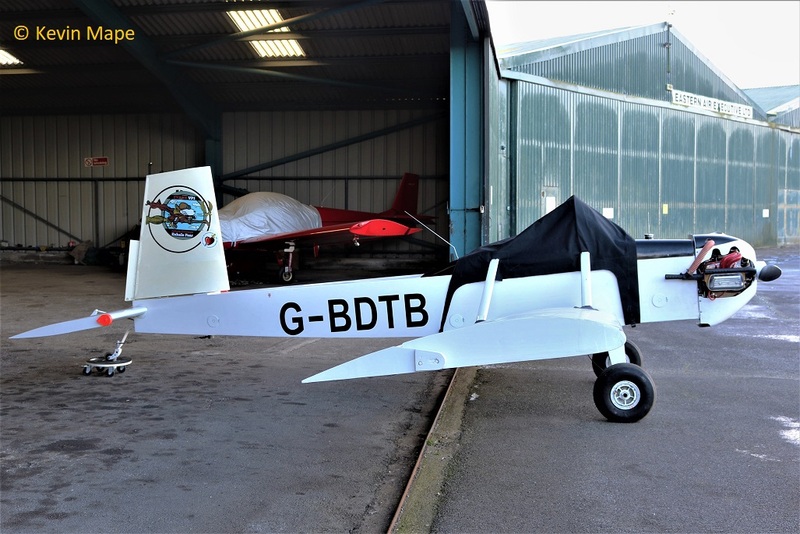 G-AVRW : Minicab JB01 (standard) : Built 1968. 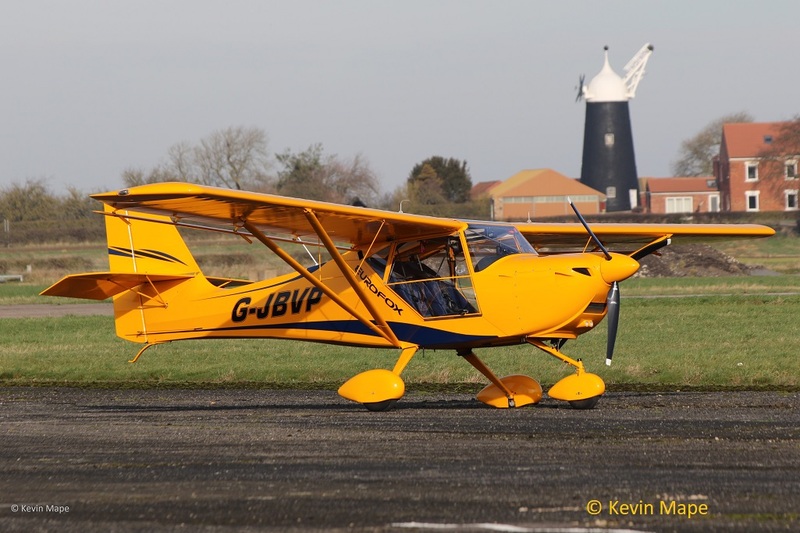 A great event on a cold but sunny day. 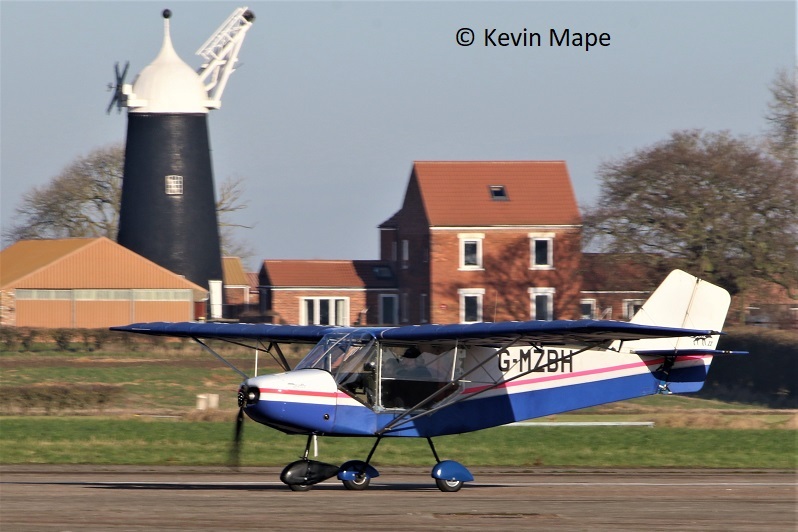 I would like to thank Lincoln Aero Club for all the access into the Hangars and the flight line. 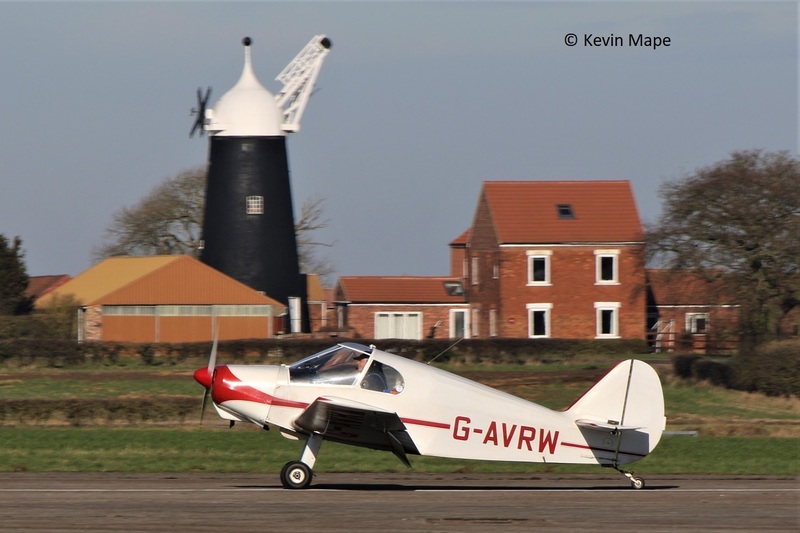 A call into Wickenby on the way home produced the following movements. 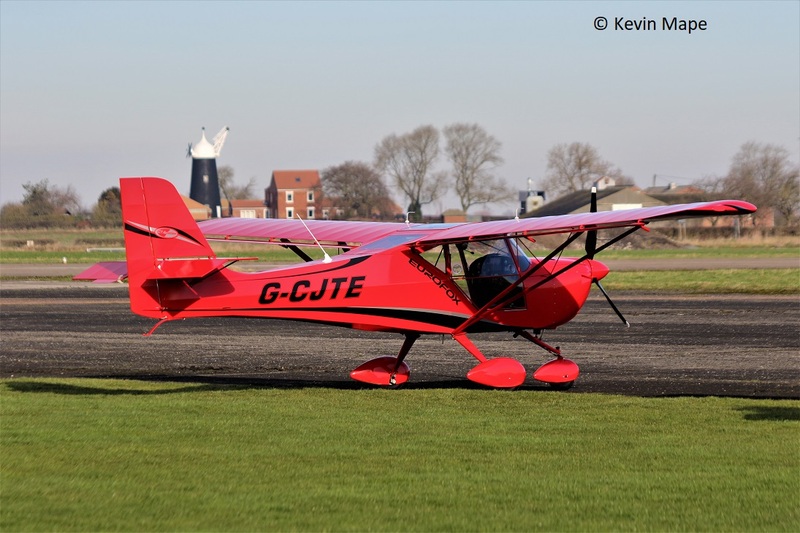 G-CDJK : Ikarus C42 FB80 : Built 2005. 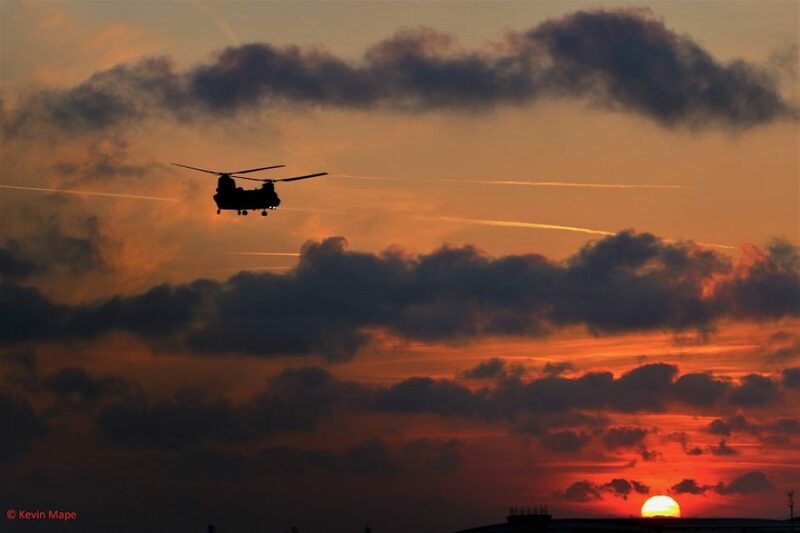 – Based. 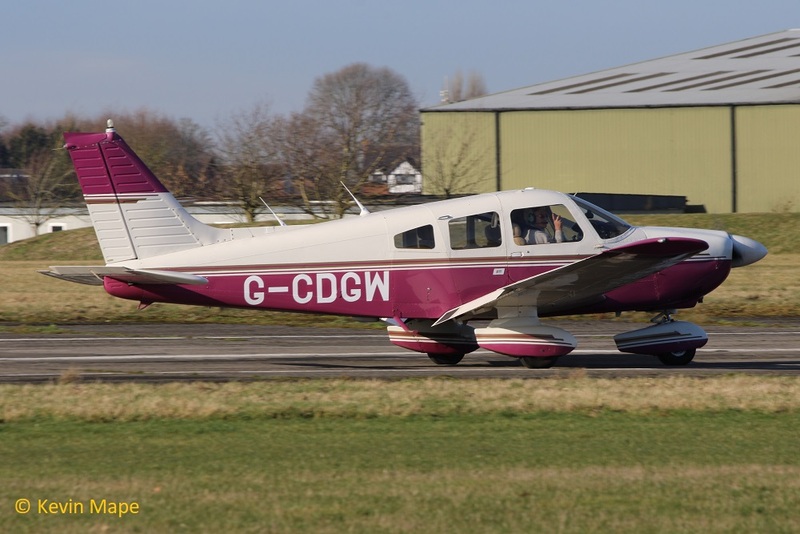 G-CDGW : Piper Pa-28-181 Cherokee Archer II : Built 1979. 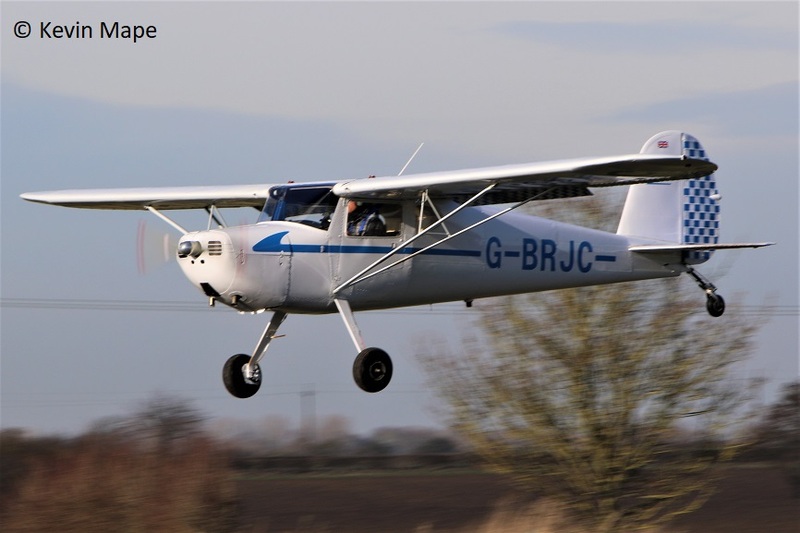 G-BRJC : Cessna 120 : Built 1946. 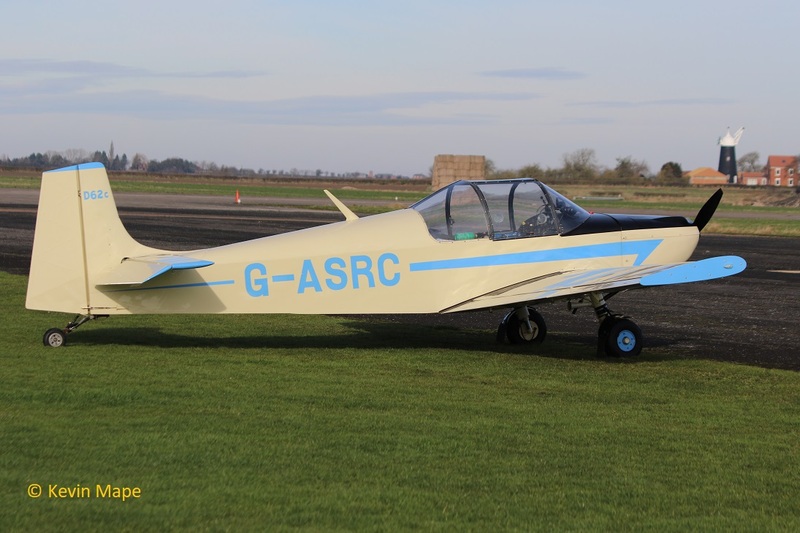 G-ORAE : Vans RV-7 : Built 2003. 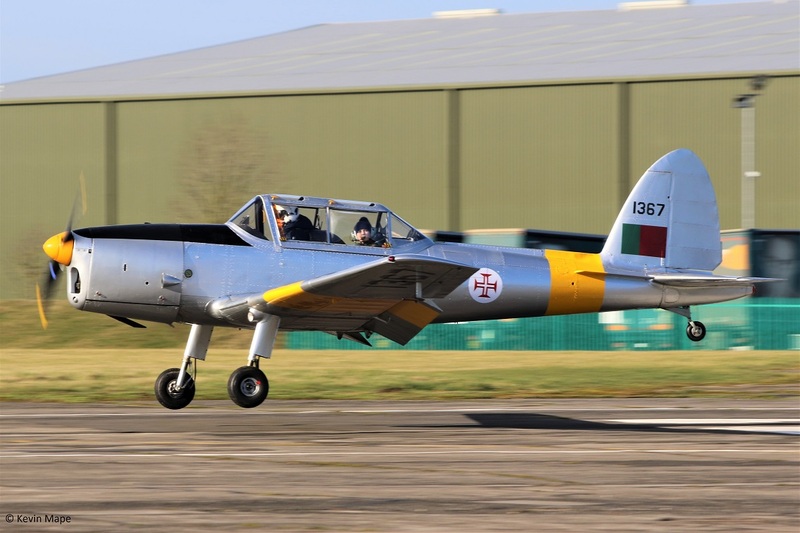 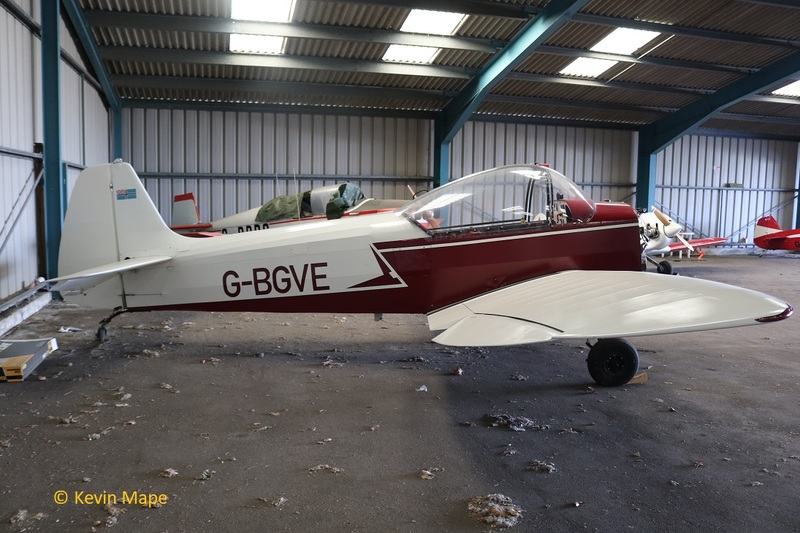 G-UANO/1367 : Ogma Chipmunk 22 : Built 1959. 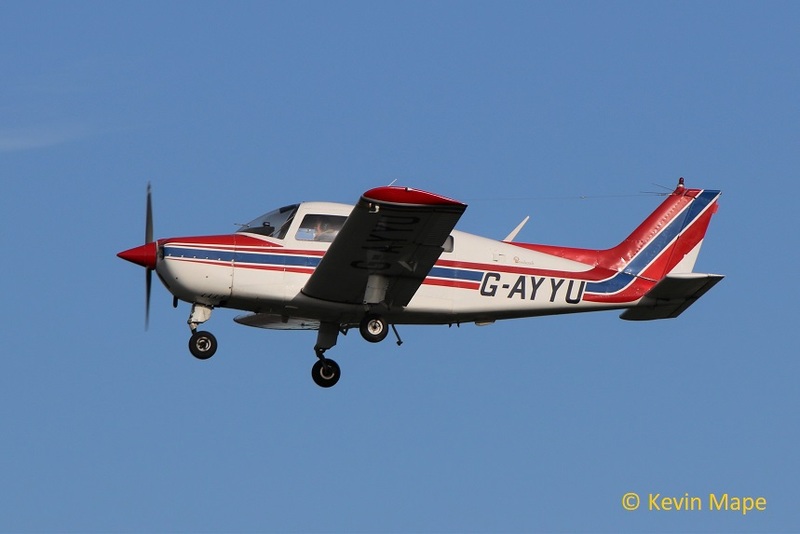 G-CBEV : Pegasus Quantum 15-912 : Built 2001. 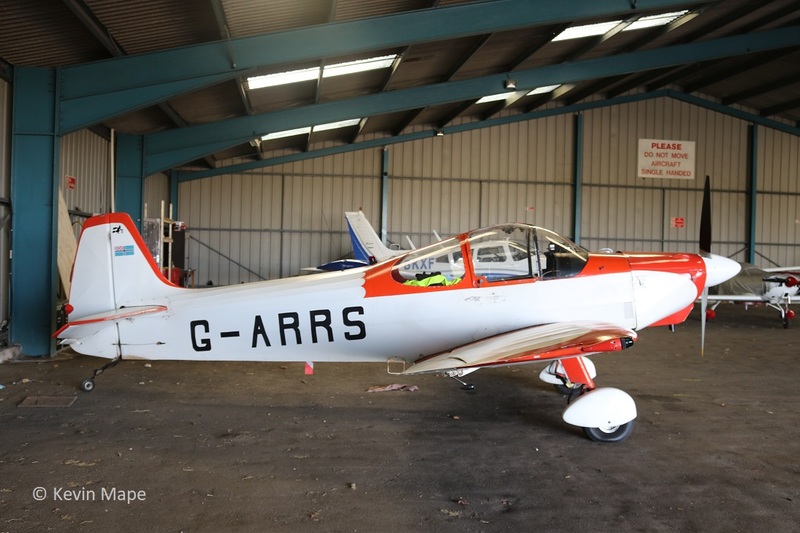 G-AZHC : Jodel D112 : Built 1958. 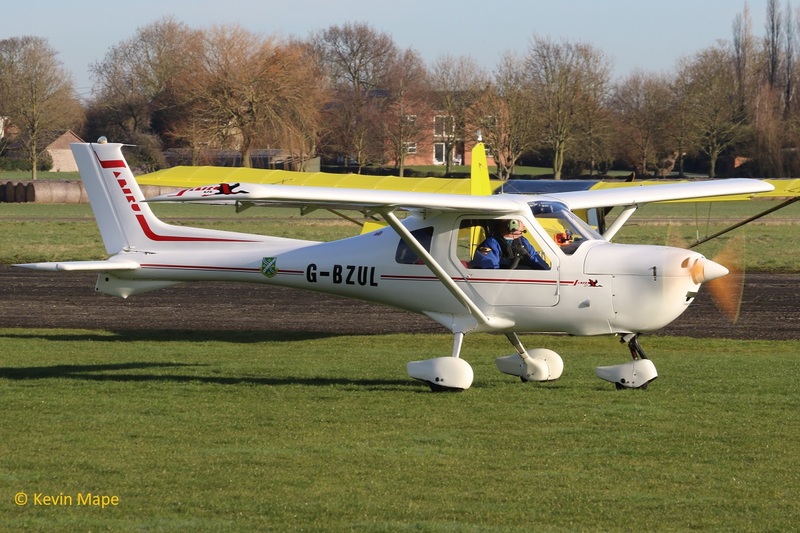 G-BRNN : Cessna 152 : Built 1980. 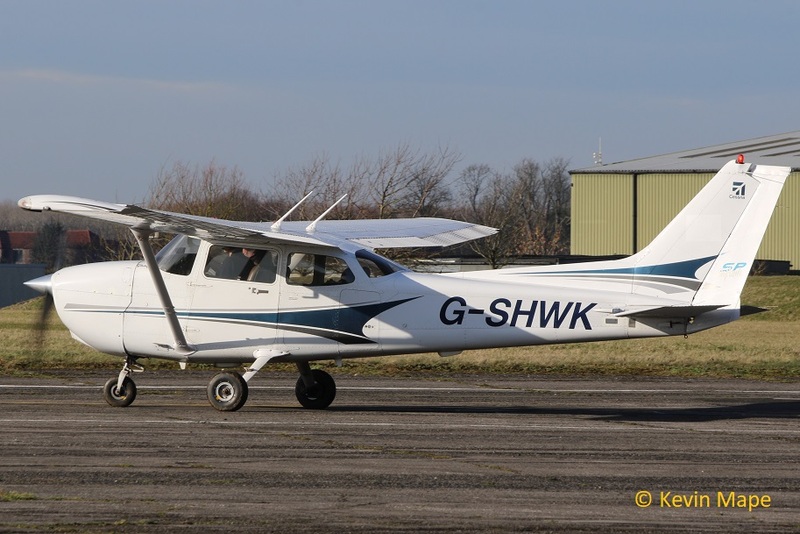 G-SHWK : Cessna 172S : Built 2004.